The Fortress of Suomenlinna are military fortifications built on six islands to guard the entrance to Helsinki's harbour. The old name for Suomenlinna (which means Finnish castle) is Sveaborg (Swedish castle). It was built in a time that Finland was part of Sweden, hence the original name. The Swedish architect Ehrensvärd started the construction in 1748. The Fortress was meant to be a stronghold for the Swedes against the Russians. The task was so enormous that large parts of the army were dedicated to help build the site. 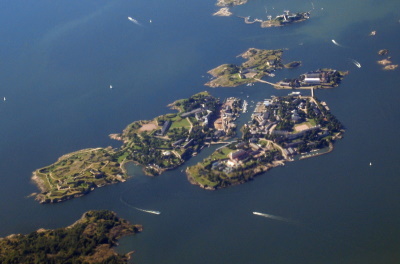 They transformed a few little islands off the coast of Helsinki into a city with more inhabitants than Helsinki itself. All the effort didn't hinder the Russians taking over in 1808. They also used it as a fortress, and added their own constructions. Finally in 1918 the Fortress became Finnish. Nowadays it is a popular park with museums, interesting flora and beaches. Fifteen minutes by boat from Helsinki Harbour gets you to Suomenlinna. The Helsinkians seem to favour it as a leisure park: to picknick, lie in the sun and drink a lot of alcohol. For the curious visitor there's a lot to see though. The Suomenlinna Museum shows a good documentary about the history of the island. It's also a lovely island by itself: the fact that about 900 people still live here permanently gives it an extra edge, and takes it beyond an open air museum. Eight hours transit at Helsinki Airport was a perfect chance for me to discover Finland's capital and the nearby World Heritage Site, Fortress of Soumenlinna. Unknown that today was a public holiday when I reached the city center I was very surprised that the whole city was very quiet and few shops were opened. I wandered around to see the city landmarks and walked to the port to catch a ferry to Suomenlinna. The port area was unexpectedly cheerful and packed with tourists and locals, most of them were waiting for ferry to the fortress. The ferry was quite frequent, after wait for 15 minutes I boarded the ferry and left Helsinki behind. The view of Helsinki bay was only OK with typical Nordic landscape with a lot of nice wooden houses but nothing spectacular like Stockholm or Saint Petersburg. The first view I saw on Suomenlinna was a bastion fortification system on the island with many buildings behind and a flag of Finnish Navy. The ferry stopped at a pink tower gate that also served as a lighthouse and clock tower. After the gate the first building I saw was a church, a church was quite unique that its tower was also a lighthouse. Then I saw many brick buildings that served as museum, library, café etc. There also was an area that similar to fisherman village with lovely pier. I crossed the bridge to another island; actually the fortress was located on many islands. The building on this island was quite different; most of them were wooden houses and painted in yellow. I saw many locals had picnic in the lawn enjoying good sunshine. Then I saw the fortifications, some of them were covered with grass to hind the enemy, I found many stone gates in this side of the fortress were very refine compared to other area. In my idea Suomelinna was similar to a small village with a mixed of Skansen, it even had a brewery and fancy restaurants. Anyway I quite enjoyed my visit to this place; it was a nice place to spend time while in Helsinki and a good place to learn Finnish history and landscape. The only thing that really distracted me while I was walking along the seashore was a sight of fast ferry to Tallinn in Estonia, ahh! so near for another country and another world heritage site! You have to visit Suomenlinna "the Gibraltar of the North" when you're in Helsinki. But if you're visiting Helsinki in winter then you can leave it out because everything is under snow and it can be very cold on these windy islands. Ferry ride offers nice views to Helsinki (and the ferry is not free!). Fortress offers scary tunnels, big cannons and beautiful views to the sea and the city. Be there in the evening when the big cruise ships to Stockholm leave and past the islands (best place to watch this is the area near the King's gate). Remember that Suomenlinna is not just a museum area. There are about 800 inhabitants living on the islands and parts of them are still owned and used by military so respect their privacy! Suomenlinna has a grocery store, day care center, outdoor theatre, church, cafes and restaurants. No visit to Helsinki, which is by the way a very beautiful and charming capital that too often gets overlooked, would be complete without the short boattrip to Suomenlinna. The harbour is beautiful, and the huge ferries passing by are very impressive as well, and on a sunny day it's surprisingly easy to catch a sunburn there (I speak from experience..) Even though I have to admit that Suomenlinna is not that great and important from a historical point of view, it does offer many interesting things to see and do, and many locals use the place to relax (even though Helsinki isn't really all that stressful). If you like ships, boats, and water in general, Suomenlinna is perfect, as is one of the many boattrips offered that take you around the harbour area. The fortress island is a fine example of 18th century fort building and presents a relaxed day out. You can catch the free municipal ferry just off the fishmarket in Helsinki and enjoy views of the archipelago before disembarking on the island. The island feels strangely rural with a small post office and general store, emphasising the virtual isolation the islanders must feel in winter. You could join the Fins enjoying a swim in the Baltic or explore the parks, museums, cannons and fortress walls all over the linked islands. Try to be there when the ferry to Stockholm passes between the narrow gap between two of the Suomenlinna fortress walls! 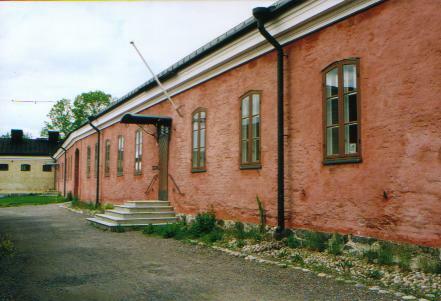 Prison: There is a minimum-security penal labor colony (Finnish: ty?siirtola) in Suomenlinna, whose inmates work on the maintenance and reconstruction of the fortifications. Lighthouses: Suomenlinna has a unique church that was used as a lighthouse. Offshore of a major city: Situated in the Gulf of Finland/Baltic Sea 2 kms from downtown Helsinki by ferry from Kauppatori opposite the President's Castle. Breweries: Suomenlinna has its own brewery. The Suomenlinna Brewery Restaurant at the Jetty Barracks offers beer brewed in the traditional way: Helsinki Portteri, H?pken Pils, Coyet Ale, Amphion Ale and Spithead Bitter. Olympic Venues: Finn class sailing event at the 1952 Summer Olympic Games was located at the front of the island of Liuskasaari which is just beside the core zone of Suomenlinna. 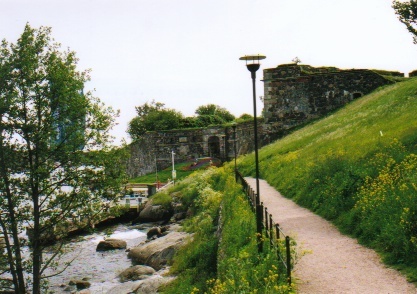 It is highly likely that the event took place within the core zone of Suomenlinna. All the other sailing classes were held near the lighthouse island of Harmaja which is also near Suomenlinna. The medal ceremonies took place at Särkkä island which is within the core zone. 268 Community Members have visited.